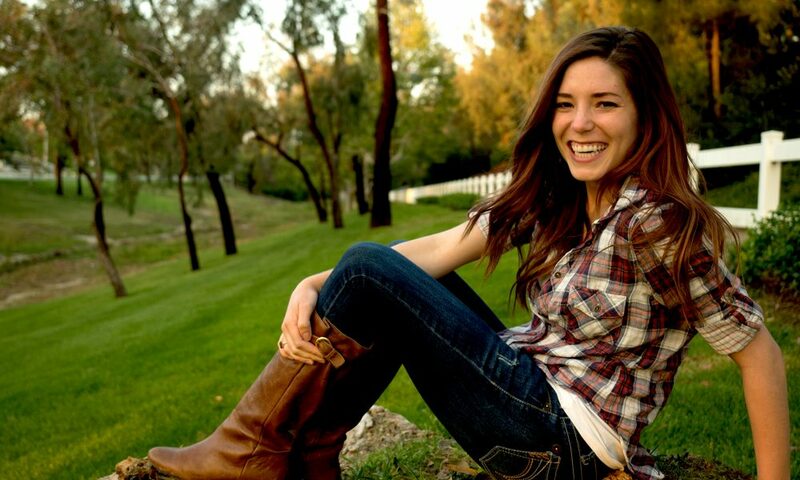 Today we’d like to introduce you to Natalie Foster. When I was in graduate school in 2012, studying to become a therapist, my life took a sharp turn when I got bit by a tick in Mexico, and a series of events changed my life forever. Over the course of the next several months, I experienced a variety of symptoms ranging from panic attacks, psychosis, joint pain and musculoskeletal issues, hormone imbalance, and overall anxiety & despair. I was not myself. I call it the Dark Night of my soul because I literally felt like I was living in Hell for eight months. I saw many doctors and mental health specialists during this time and was misdiagnosed with a false-negative when tested for Lyme Disease. I truly thought I was losing myself. WhatI did not know, is that I was going through what is called a “spiritual emergency”– presenting with mental and physical issues that were being caused or exacerbated by spiritual problems. Ultimately, my mother convinced me to speak with a spiritual healer for a one-hour phone session, after which I experienced a profound healing which literally “brought me back” to myself overnight. It was through my experience that I recognized the blatant tie that can occur between our mental and physical health with issues of a more spiritual nature. I decided to dedicate myself to that blended study and seek to integrate care. I am now a registered art therapist and a Licensed Associate Marriage and Family Therapist. I also am trained in Usui Holy Fire II Reiki (an advanced style of Reiki which facilitates healing Christ-Consciousness energy), Advanced Integrative Therapy (a trauma-informed, belief correcting the form of energy psychotherapy), and have experience in treating anxiety, PTSD, depression, and many other mental/emotional issues. I also specialize in treating what is known as a spiritual emergency– a condition which can mimic many other disorders. 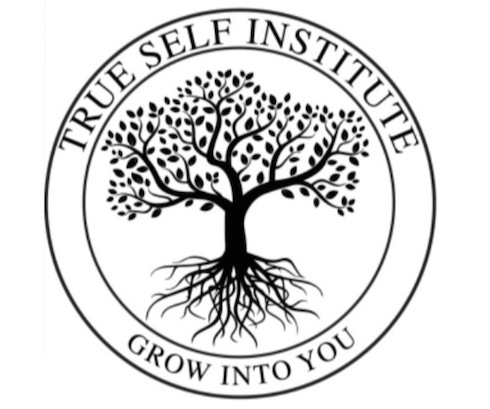 I am excited to say that I have just recently opened my own practice, True Self Institute, in Scottsdale. 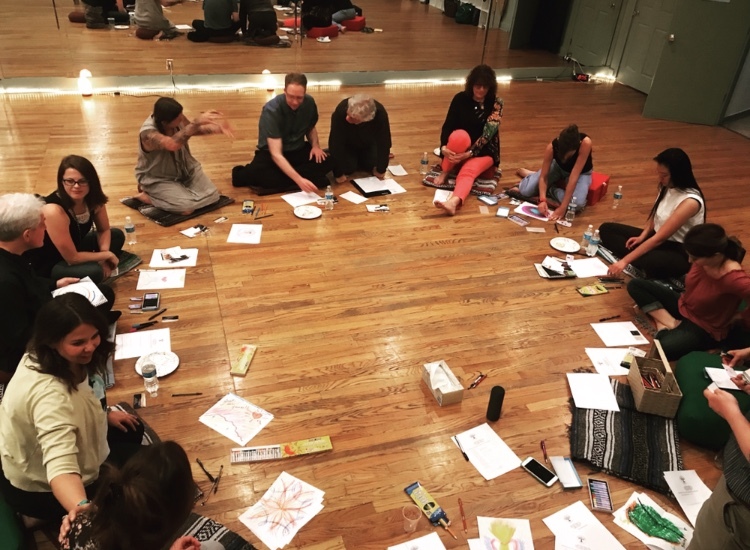 My aim is to continue to deepen my practice of helping people to heal themselves and connect to their true nature through art-making, therapy, and other healing modalities. I am honored to work as the sub art therapist for the Meadows Outpatient Center in Scottsdale, and the child and family specialist with Integrative Art Therapy in Phoenix. 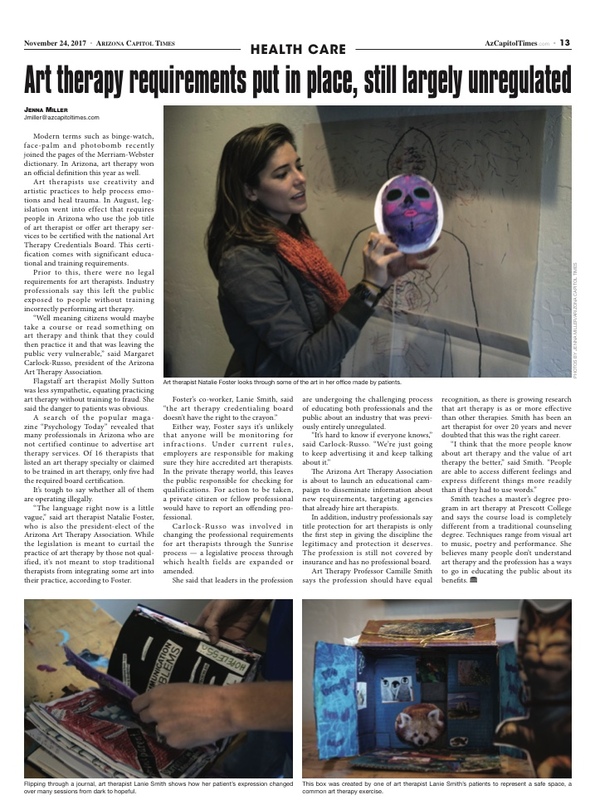 I am also the current President-Elect of the Arizona Art Therapy Association and regularly participate in education and advocacy outreach throughout the state. See previous entry! I think another challenge has been allowing myself to be true to my own self in how I practice therapy. I was afraid to step into my truth as a therapist– which means owning my own experience of healing. There is no denying what I experienced was real and profound, and I want to use that knowledge to help others who feel that they are drawn to it. The truth is we don’t know everything there is to know about this world and what it means to be human in it. I am interested in incorporating both the practical and the sacred. The proven and the alternative. The verbal and the creative. The scientific and the spiritual. I am interested in integration. We are whole beings, and we deserve holistic treatment. Stepping into that road has been a scary journey, all around. Nobody wants to be seen as a “quack” in such a designated, respectable field, and as is the case with anything, it can be terrifying to be yourself. But the truth is we can incorporate alternative or spiritual understanding responsibly, and with great care, to provide a high-quality outcome for our clients. I know many therapists yearn to find stronger, more spiritually-connected avenues for helping their clients heal. The mental health discipline has come a long way in the last thirty to forty years. I am confident we will continue to move forward in many ways, alternative and otherwise. The key lies in the integration. True Self Institute – what should we know? What do you guys do best? What sets you apart from the competition? I am different because I am owning my true self in the work that I do as a therapist/healer/practitioner. I have an understanding and breadth of experience in working with people from a holistic perspective, which includes spirituality and energetic issues alongside all of the other components you might find in traditional therapy. I bring together the best of both worlds– grounded and practical, yet sacred and far-reaching. In addition to being a licensed mental health professional, I am also a registered art therapist, and understand the healing power of art and art-making can be profoundly helpful. 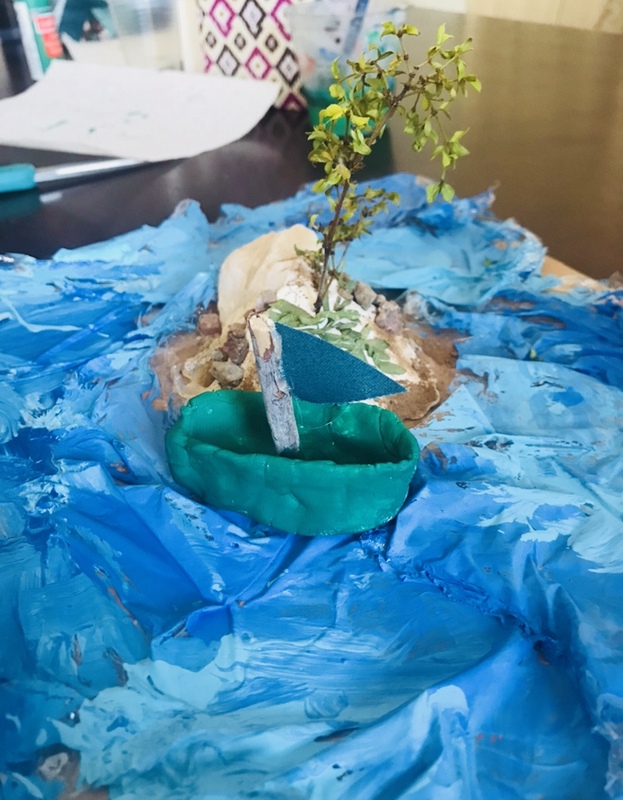 Many people think that art therapy is like arts and crafts, or is just for kids… so not the case! 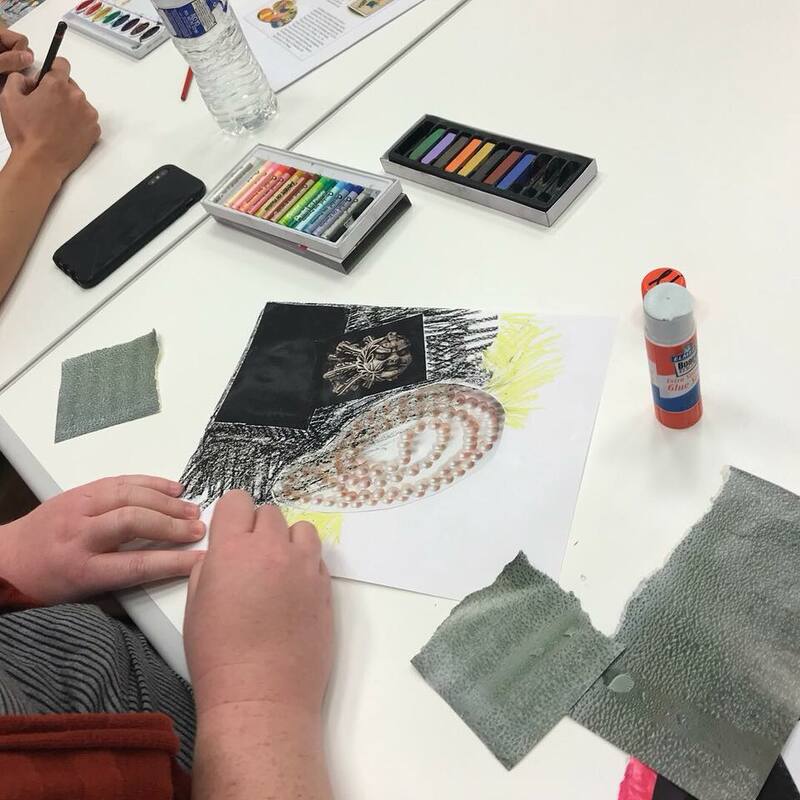 Art therapy can help virtually anyone, and I particularly enjoy working with adults. 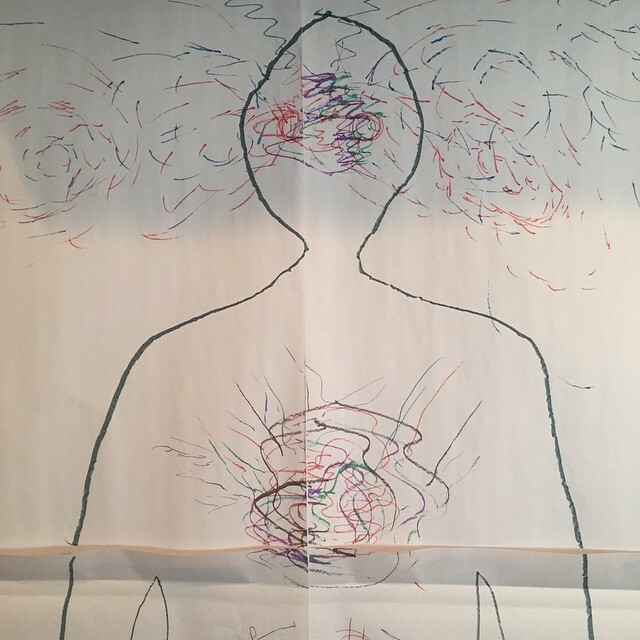 I like to think that art is my co-therapist, and it helps us to quickly uncover what needs to be healed and work with it in ways that are gentle, non-intrusive, and effective. We may work with a wide variety of art materials in session, and we do not necessarily make art every time. Keep in mind that you don’t have to be an “artist” to benefit from the healing capacities of art. Bad stick figures are welcome! In addition, I am also trained in Reiki, Advanced Integrative Therapy (energy psychology), and work with my intuitive gifts to help others connect to and heal their own energy body. I incorporate mindfulness, creativity, grounding, breath work, spiritual study, coaching, intuitive guidance, meditation, and prayer, as you are interested. From the beginning, I will tailor our work together to help you access what you are needing most. Beginning with a free, 30-minute Discovery call and interview, we would decide if a course of art therapy or intuitive mentoring is a better fit for you at this time. The level of overwhelm I have seen in our mental health fields today is astounding. I limit myself to only seeing a select number of clients, as a way of honoring and caring for myself so that I can provide the best, high-quality level of care for those I am serving. I truly care about my clients and their growth, healing, happiness, and level of connection to themselves and their loved ones, and will work with you to help you get what you need. I also regularly make myself available for two pro-bono positions for veteran servicemen at a time. 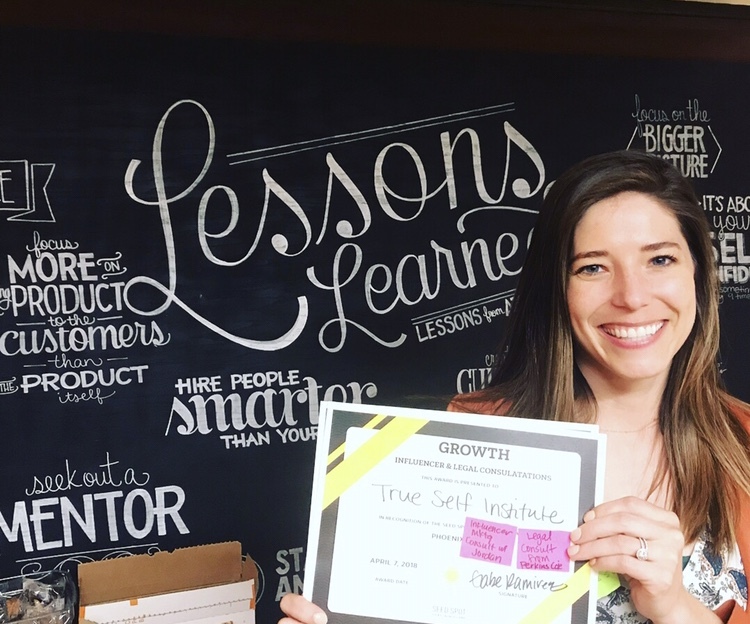 Opening True Self Institute definitely was a proud moment! It is me stepping into the work that I truly love, the work that I am meant to do to serve here as an art therapist, healer, and spiritual teacher. If I had to pick something more specific, I would say starting my networking group has made me feel very proud to show up as my true self. Soul Solutions is a networking group for holistic professionals and practitioners of any kind… doctors, nurses, therapists, naturopaths, psychiatrists, massage therapists, yoga teachers, personal trainers, acupuncturists, meditation teachers… you name it! If you work with people and are interested in working with energy/spirituality, and doing so in an integrated way, then come to join the dialogue that fuels your soul! I started Soul Solutions several months ago, and already I have seen it help others in the mental and medical and other health fields step further into their true selves… owning more of the interests and practices closer to their heart in their respective fields. It has truly been a soulful gathering and a blessing to watch people grow in the light of connection to one another, to go out and serve feeling like they aren’t so alone in that endeavor. We meet once monthly in various locations.